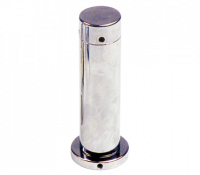 The Revolving Stirrup open handle design reduces friction at two different pivot points-top and bottom. By allowing more freedom of movement throughout the range of motion. It minimizes stress on wrists and joints. 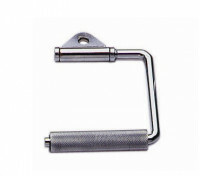 The USA 28 Economy Revolving Curl Bar with forged swivel is perfect for any gym, club or home. This multi-purpose bar is created for triceps press downs, curls, rows, arm pull-over’s and more. 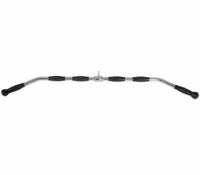 Our 23 SupraBar cable curl bar is designed to increase upper arm mass, strength and definition. 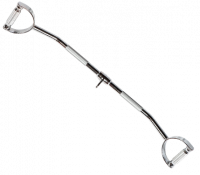 Instead of using 2” Olympic size weights, the 23” cable curl bar attaches onto any cable system allowing the user to concentrate on biceps without the stress of tendons and joints. 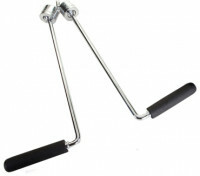 Add a little twist to your strength training with our SupraBar butterfly tri-bar. 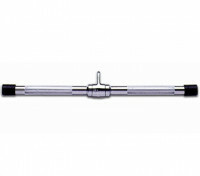 This small triceps press down bar hooks onto any standard cable system and produces an unbelievable triceps workout. This SupraBar isolates the triceps muscle with full and extended range; no standard cable attachment even comes close. This unique cable attachment bar brings the ultimate workout to you in one attachment. This attachment can be hooked onto to lower cable station of any standard cable system, isolating the arm and chest muscles. While you work out, turn the handles for even more range. Hook the spreader bar to the upper attachment of any cable system and turn the spreader bar into an excellent triceps extension, over-head extension or many other workout routines. You are in control of whatever type of multiple exercises you want to do without the stress on tendons and joints. 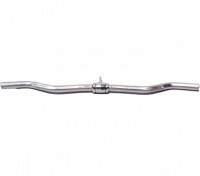 This 48 deluxe lat bar with forged swivel and rubber grips is uniquely designed at a slightly steeper angle for lateral stability and extra long stretch. For complete development of your lats, shoulders and upper arms. End caps covered with heavy duty caps for extra protection. Olympic 2” chrome sleeve designed to fit over all 1” shafts. This attractive designed attachment turns a standard 1” bar into a 2” Olympic bar. For the user that wants to upgrade to 2” Olympic plates without changing current 1” bars. Also can be used on weight machines.